The man accused of stabbing an ISU student to death on a golf course in Ames has entered a written plea of not guilty. 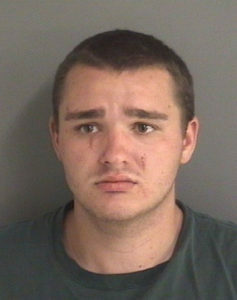 Twenty-two-year-old Collin Richards entered the plea in Story County District Court where he is charged with first-degree murder in the stabbing death of Celia Barquin Arozamena at the Cold Water Golf Links in Ames September 17th. Arozamena had been a standout golfer for the Cyclones. A trial date for Richards, who is believed to be homeless, has been set for January 15th. He remains in jail on a $5 million bond.